Any creature in either player's graveyard comes into play on your side with -1 to its original power. 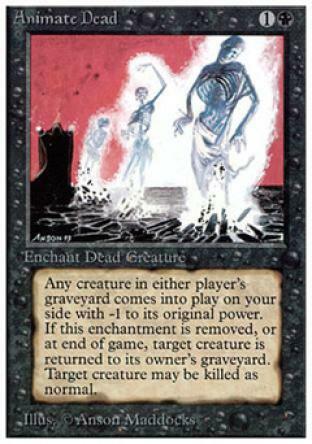 If this enchantment is removed, or at end of game, target creature is returned to its owner's graveyard. Target creature may be killed as normal.